The MPEG4cPCI is a 4-channel MPEG-4 codec on a 3U CompactPCI form factor module. 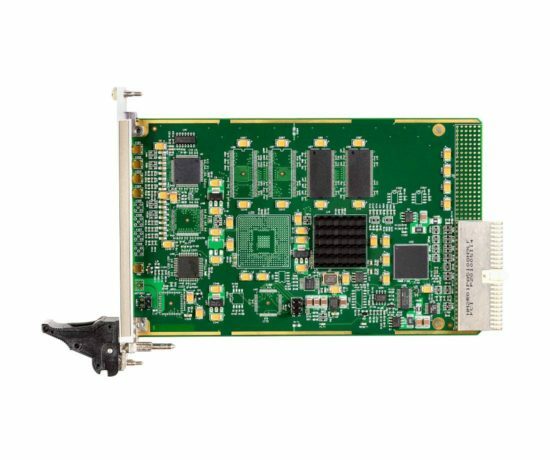 The MPEG4cPCI provides a high performance solution for capturing and compressing up to 4 concurrent analog video inputs to MPEG-4 at full resolution and full frame rates. The MPEG4cPCI not only provides MPEG-4 compression but can also decompress and playback recordings from storage to display. Utilizing the 32-bit PCI architecture, the MPEG4cPCI enables high quality real-time video / audio capture and compression from (up to) 4 concurrent NTSC or PAL video sources while at the same time allowing the data stream to be stored to disk and provide a Preview screen for incoming video. 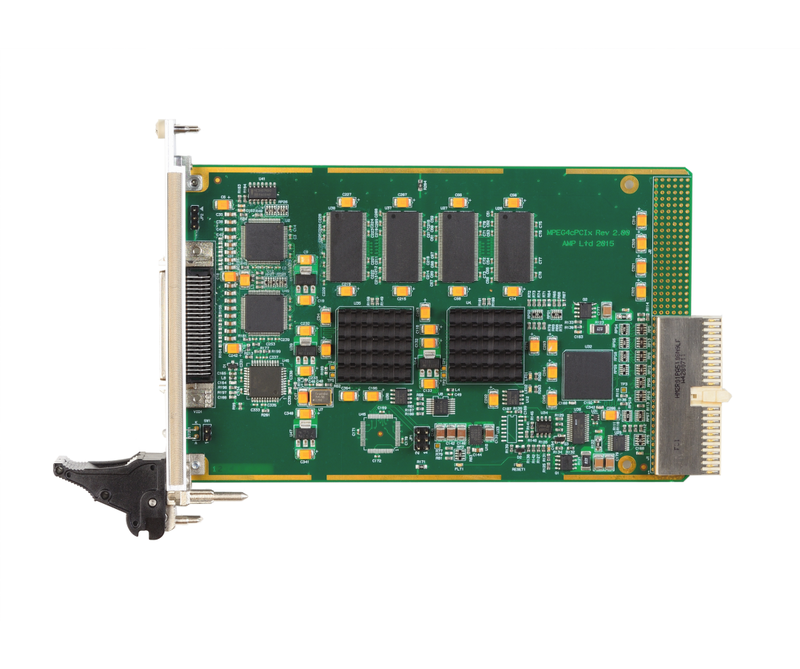 The high performance MPEG-4 video data compression and reduced bus utilisation allows multiple MPEG4cPCI cards to be fitted in a CompactPCI system for multi-channel video recording and streaming applications. The MPEG4cPCI is supported by a suite of drivers for Windows-2000/XP/XP-Embedded, Linux and QNX. Note: This is a legacy product and is not recommended for new projects. This product is no longer available for new designs, please consider the H264-cPCI4. For more information visit the H264-cPCI4 product page. The MPEG4cPCI is supported by comprehensive and well supported software development kits (SDKs) for video recording and video streaming. The SDKs are designed to significantly reduce development time in Windows, Linux and QNX environments and include support libraries, drivers and example applications to help developers fully utilize the MPEG4cPCI features in complex video compression / overlay applications. The standard SDKs are available for x86 based embedded PC platforms however, we also offer SDKs suitable for CompactPCI based PowerPC systems. Please contact our sales team to discuss your requirements.